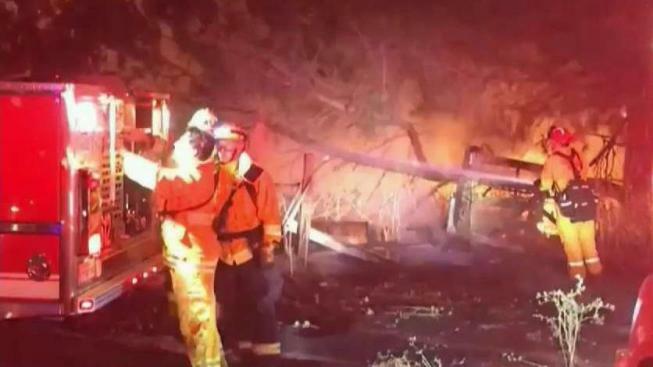 Firefighters late Tuesday responded to a grass fire in the Almaden Hills in San Jose. At 10:15 p.m., the fire had burned at least 5 acres and was 70 percent contained, officials said. Firefighters said a barn was also destroyed in the fire. The blaze burned just off Boulder Ridge Golf Course on Old Quarry Road. No homes were threatened and authorities were still investigating a cause. Firefighters said the fire was first reported at 8:25 p.m.